final int numberOfFreeApples_2 = numberOfFreeApples(someUser(), age); // This is a bug! 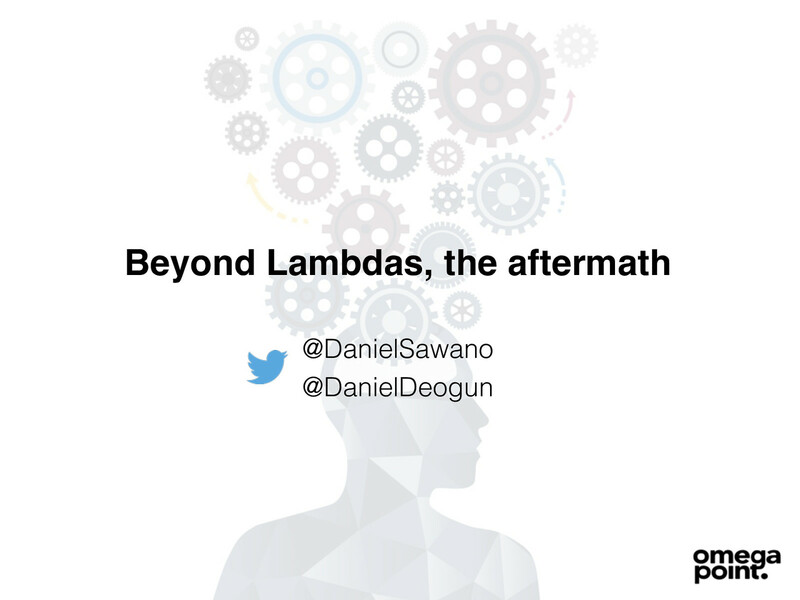 View Beyond Lambdas - the Aftermath on Notist. As Java developers we are used to having rich ecosystems of libraries and tools that make our lives easier. As of the release of Java 8, we finally got our hands on building blocks like lambdas, optionals, and streams. All sorts of tools that help us write more concise code. But now, when the honeymoon is over, are there any downsides to Java 8 or is it a silver bullet? Are there any new anti-patterns emerging? Or subtle bugs caused by the new style of programming? Have there been any lessons learned? Are there any best practices? If you are interested in learning about the challenges encountered when moving over to a functional style of Java programming, what code constructs to avoid, and best practices to use, well then this session is for you.